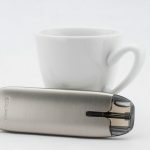 Joyetech releases its Teros, a nicely made pod, simple to use, that offers a very good indirect inhalation vaping style. 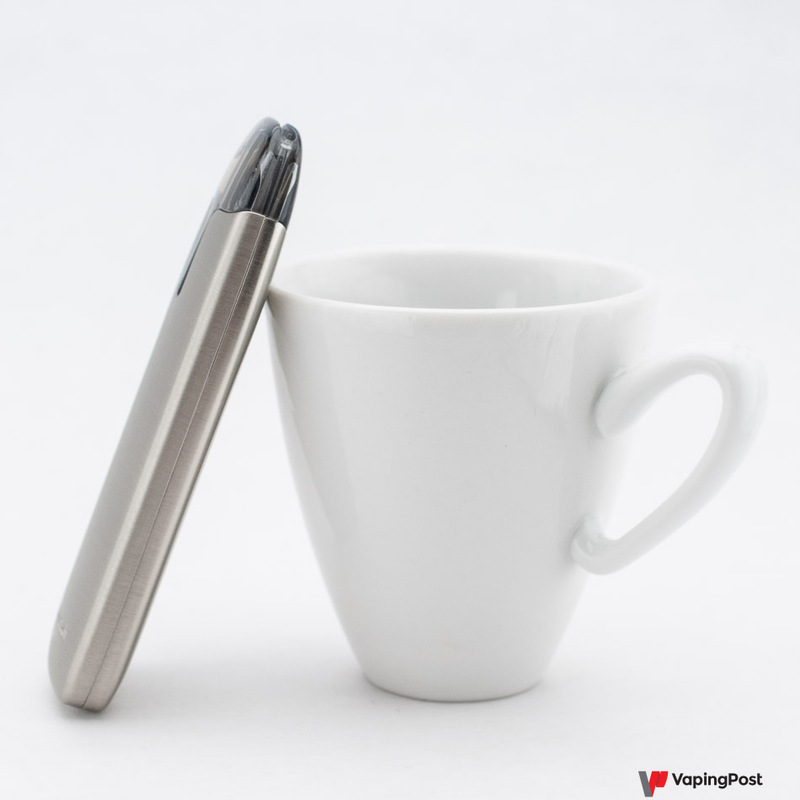 It is perfectly suited for beginners and moderate or discreet vapers. The design of the Teros is a success: it is a small object, its grip looks like that of a pebble, it slips nicely into a pocket or a small bag without taking up space. The quality of construction, in brushed steel, is surprisingly good for an object of this type. 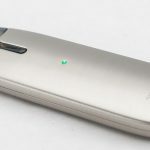 It is a pod, a real one, that is to say that its use is simplified to the maximum: no button, the vape is triggered automatically when you take a puff, no power adjustment and almost no maintenance. 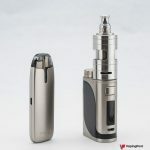 Its vape is very pleasant, obviously in indirect inhalation: draw and throat hit are appreciably the same as those of a cigarette, as its vapor production, only the sensation on the lips changes, since its mouthpiece is rather broad. The flavours, which are sometimes the weak point of this type of material, are well highlighted here. 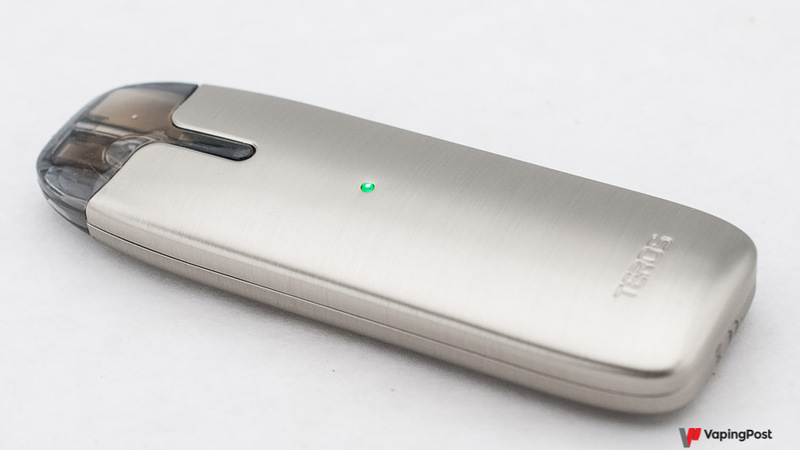 The autoflow works well and its autonomy is around 100 to 120 puffs, the equivalent of about ten cigarettes. Those who smoked more will have to think about recharging it during the day, or have a second one ready to use. For me, what determines whether a pod is effective or not is the answer to a question: by vaping 10 or 15 puffs during a break at work, do I get the same satisfaction as with a cigarette? With this Teros, the answer is yes, provided you use a sufficient dose of nicotine, we’ll come back to that, and that goes for all the pods that work well. The Teros is made up of two elements: a battery which constitutes the body of the pod, and a tank which contains the coil head. 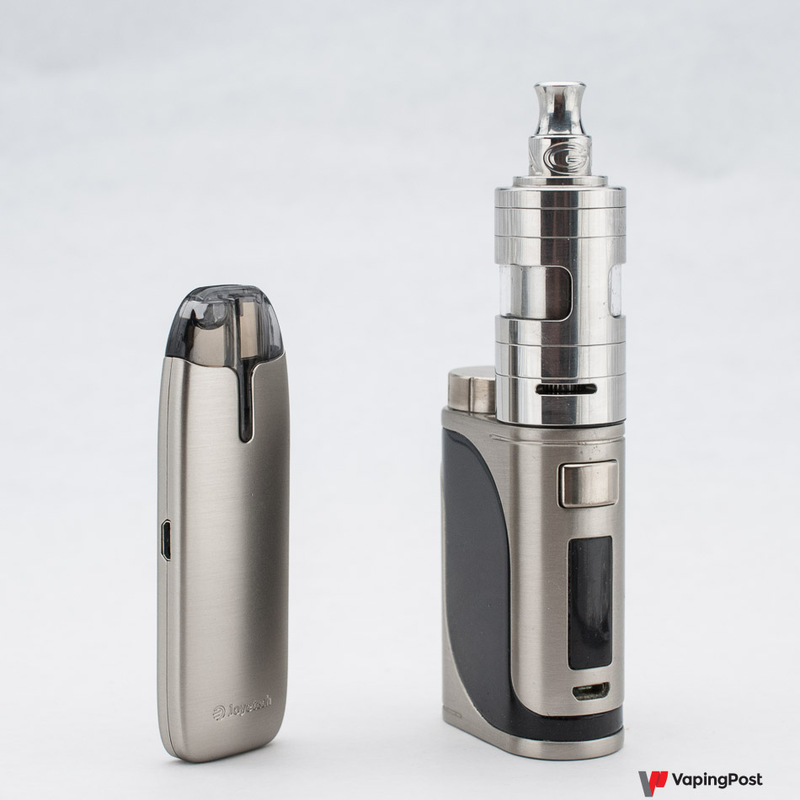 It is a refillable tank, that snaps right into place with two small magnets. The Teros battery is voltage regulated, which means that the power is always the same. 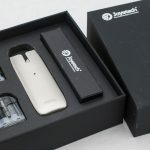 It’s nice, but it doesn’t allow us to vape any longer, as Joyetech tries to make us believe in their communication (we also come back to this at the end of this article). In the end, the Teros is an excellent pod, it is in the top of the basket this kind of vaporizer. 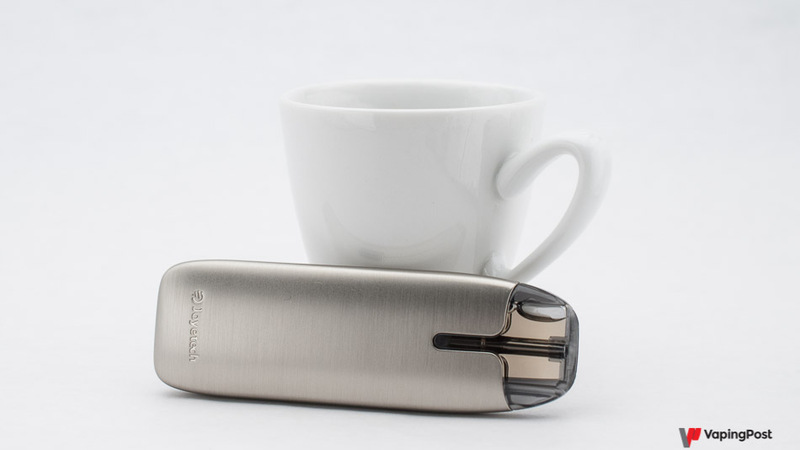 It recharges quickly (15 to 20 minutes) with a good smartphone charger, and it is possible to vape while charging it. The Teros is delivered in a pretty black cardboard box, with a USB cable for its recharge. Two tanks are provided, for 15 to 30 days of use before having to buy some. The manual is simple, well done and in French in our case. 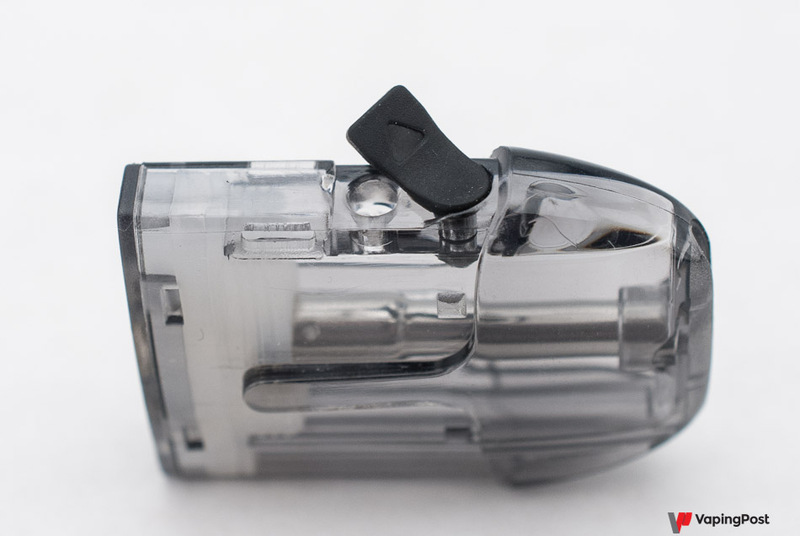 The tank of a pod is a neuralgic point: it contains the coil head and it is on it that the quality of vape depends. The Teros is of good manufacturing: it is reliable, does not leak, and delivers a pleasant vapor. The throat hit well present without being too strong with liquids well dosed in nicotine, meaning as much as possible. 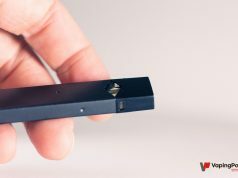 I insist on this point: a pod is made to have strong nicotine dosages, especially for smokers, if possible 18 mg/ml (european maximum concentration). Some people find the hit too strong, especially at first, when you still have your throat hurt by tobacco smoke. They may temporarily turn to liquids with nicotine salts at the maximum dosage (20 mg/ml), less common and more expensive, but less prickly. The tank can be filled with any liquid (2 ml) up to a PG/VG ratio of 50/50. Filling is easy with the tip of a conventional 10 ml bottle, but the twist tips are too wide. 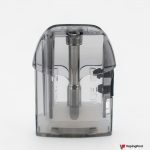 The tank contains the coil head which gets dirty along vaping. It should therefore be changed regularly: every 5 to 7 fillings with dirty liquids such as tobacco and sweet flavors, and up to 10 (even 15) with very cleaner liquids, mentholated for example. Finally, we can have two strategies of use of these tanks: either we use only one of them, that we change when its coil is dead. Either we use several in parallel, filled with different liquids, to be able to change flavors easily. In this case, it will be useful to have a small box to store unused tanks, to avoid dust clogging them. 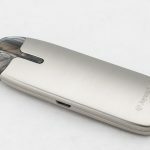 The announced capacity of the Teros battery is 480 mAh, while most pods announce 300 mAh. 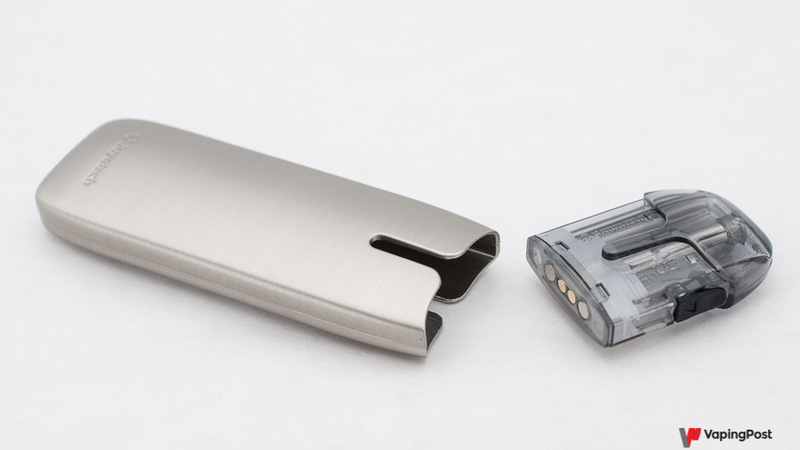 Put this way, it suggests that we can vape longer with the Teros than with other pods, and that’s what Joyetech wants us to believe. 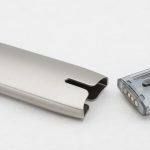 They claim that their new low voltage batteries (1.85 v instead of the usual 3.7 in vaping) would allow to vape longer. It’s an electrical aberration. Explanations! For those who are not interested at all in the technique, go directly to the conclusion, but know that the Teros pod is not more autonomous than the others, it is even a little less so, even if in reality it will not make much difference. For those who want to know more, read on! Pods generally operate at a power of about 8 watts. The laws governing electricity tell us that power is equal to the square voltage divided by the resistance: P=U²/R. To have 8 watts with a voltage of 3.7 volts, as on most pods, we need a coil of 1.7 ohm. To have the same power with the Terros pod and its 1.85 volts, you need a coil of 0.4 ohm. And in fact, the coil head of Teros tanks is 0.4 ohm. But then, does the Teros consume less energy than the others? No, of course, both consume 32 Joules for a 4 second puff, regardless of the coil value. It’s the power that counts, not the tension. Joules are watts per second, 8 w for 4 s, so 8 x 4 = 32 J, whatever the battery voltage or resistance value. 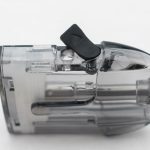 But yet Joyetech announces 480 mAh, against 300 in general on the other pods, it is thus that the Teros is more autonomous, no?! Well, no! Again, it is a clever manipulation of numbers. These 480 mAh do not represent an autonomy, but a capacity to deliver 480 mA during 1 hour. But tension also counts. A battery which delivers 480 mA for 1 hour at 1.85 v does not contain more energy than a battery delivering 300 mA for 1 hour at 3.7 volt, it is even the opposite. The energy actually available is measured in watts/hour or Joules, so multiply the capacity by the voltage to know it. On the Teros, 480 mAh, with a voltage of 1.85 volts, it gives us 0.9 Wh or 3240 Joules, which will make us roughly 100 puffs of 4 seconds. On a 300 mAh pod, with a voltage of 3.7 volts, it gives us 1.1 Wh or 3960 Joules, so roughly 120 4 second puffs. Note: sorry for all this figures, but faced with advertising propaganda, we had to demonstrate facts: the Teros is no more autonomous than the VIE UD for example, tested here not long ago, it’s even the opposite ! In short, beyond this commercial trick, the Teros pod is no less excellent in its field, and roughly as autonomous as the others, but no more. 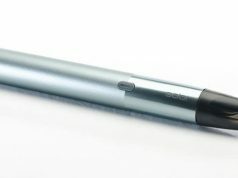 Joyetech would therefore do better to dispense with false advertising. 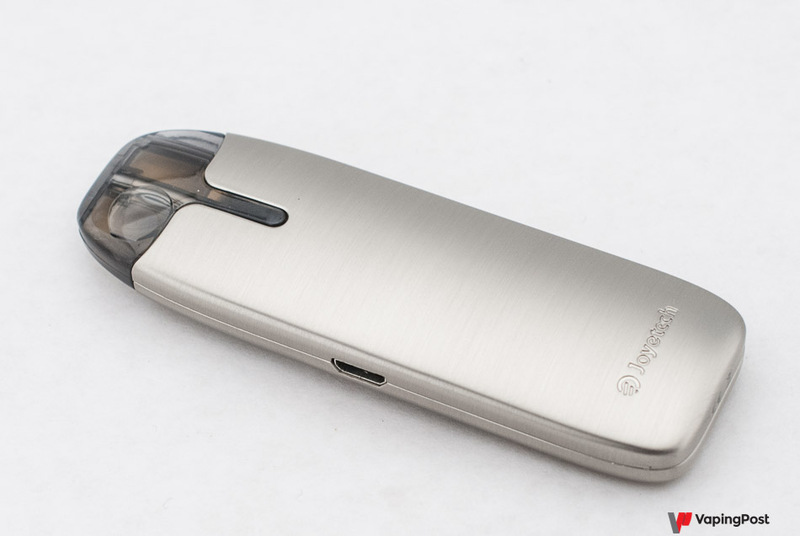 The Teros pod system is one of the best pods available today, it is pretty, easy to use and maintain, and its vapor is perfect for mouth to lung inhalation. 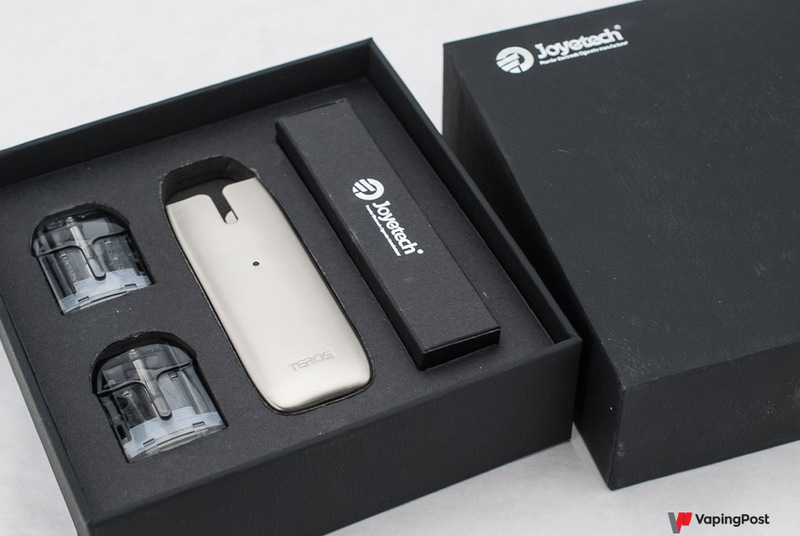 Not to spoil anything, the flavours of liquids are well restored, and its autonomy is in the good average, equivalent to 10/12 cigarettes, but not superior to that of the other good pods, as Joyetech tries to make us believe it.